At Alver Valley Schools, early reading is taught using synthetic phonics as the main approach to reading . The school follows the government published programme “Letters and Sounds” which supports us in providing a multi-sensory approach to learning phonics. Pupils are systematically taught the phonemes (sounds), how to blend the sounds all through the word for reading, and how to segment the sounds in order to write words. They are taught to use their phonic skills and knowledge as their first approach to reading, but are also taught high frequency words which do not completely follow the phonic rules. At Alver Valley Schools, we utilise a range of phonetically decodable reading books which will help the children to practice their phonic skills while they are learning to read. The range of published schemes used include Rigby Star Phonics, Big Cat Phonics, Fun with Phonics, Floppy Phonics, Phonics Bug and Songbirds. All of our early reading books are colour banded. Your child will be given a colour band to choose their home reading book from which will help to ensure that the book they select is at the right reading level for them. Every colour band includes books from a range of reading schemes so that they will experience a range of stories, genres, text types and illustrations. We encourage parents to share their child’s reading books together, followed by asking and answering questions about the text in order to improve comprehension skills. 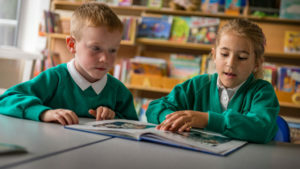 All pupils regularly engage in Guided Reading sessions in class to practice their reading, and focus on developing reading skills such as inference, deduction, developing opinions and so on. These sessions support pupils to become well rounded readers, able to interpret texts and develop personal tastes. 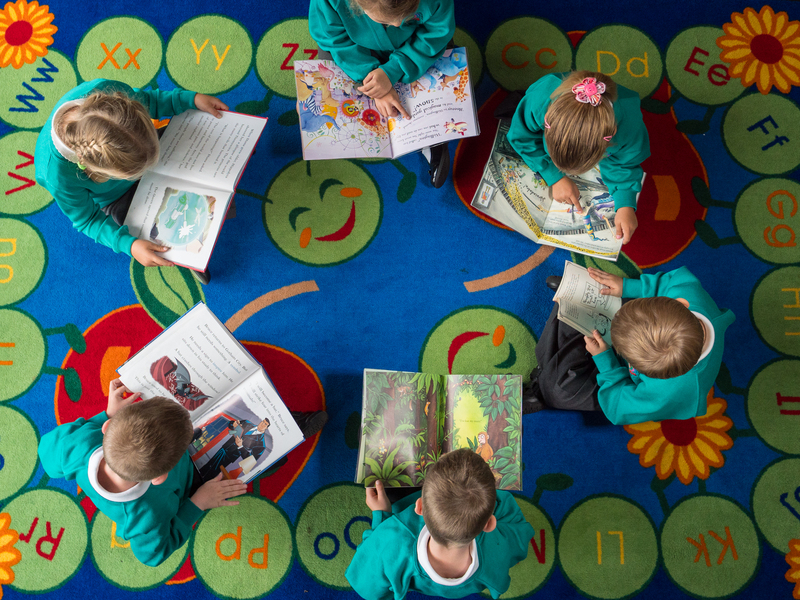 At Alver Valley, we encourage pupils to develop a love of reading before they start school through our on-site nursery and by taking part in our Music Makers workshops, which develop Nursery Rhymes and songs. school library visit and continue to take home books for sharing with their parents alongside their own reading book. We hope that these habits continue as pupils get older – once they are independent readers, pupils select their own reading material, but our school librarian is still on hand to guide and advise pupils. Our librarian is also very happy to speak to parents who want to support their child in widening their reading habits.